There’s no denying that leading an active lifestyle is beneficial in so many ways! Dr. Choonara loves that so many of his patients are active and involved in sports. However, he also wants his patients to protect their mouths, teeth, and appliances by wearing athletic mouthguards. After all, it only takes one hard blow to the face or a forceful fall to do some serious damage to your mouth, teeth, and braces. A mouthguard is a simple protective device that fits over the teeth to absorb the force of an impact to help protect the mouth from damage. 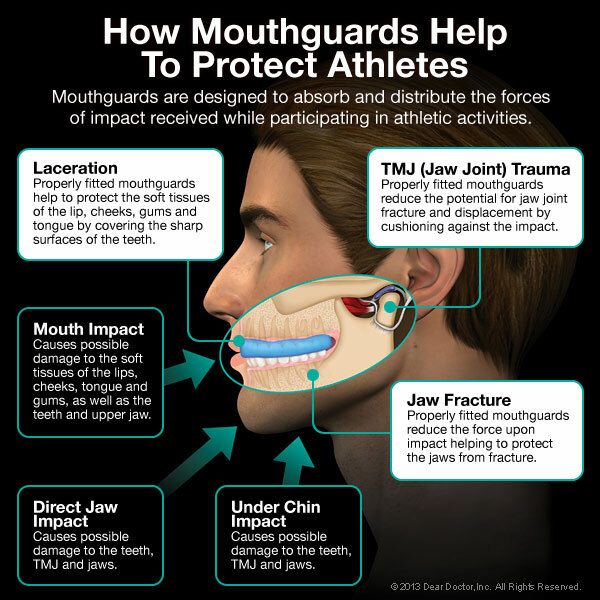 A high quality mouthguard should be a part of your athletic equipment whenever you’re playing a sport or taking part in any activity that puts you at risk for injuries to the face or mouth. You may be surprised to learn that up to 40 percent of dental injuries are sustained during sports activities. This means that not wearing a mouthguard while being active makes you 60 times more likely to sustain an injury to the face or mouth. In addition to safeguarding against fractured, chipped, and knocked-out teeth, a mouthguard can also help prevent more serious injuries like jaw fractures, concussions, and neck injuries. And if you’re wearing braces that are cemented to your teeth like metal braces, a mouthguard will help keep those braces intact so you won’t need to visit your Johannesburg orthodontist to have your broken braces fixed! Stock mouthguards: Also called “off-the-shelf” mouthguards, these are the most inexpensive type that come in S-M-L sizes. 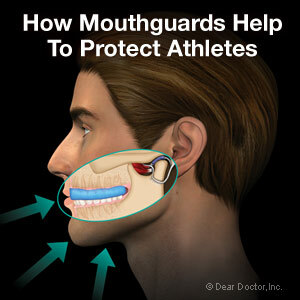 A stock mouthguard can be uncomfortable to wear and ill-fitting. Even though this type of mouthguard is the least protective, it’s better than wearing no mouthguard at all. Boil & bite mouthguards:This type of mouthguard is meant to be softened by heat and them molded into shape to fit over the teeth. It’s a better choice than a stock mouthguard, but it still falls short in terms of effectiveness. Custom-made mouthguards: Your dentist can provide you with a custom-made mouthguard that is created using an impression of your teeth. This type of mouthguard is comfortable to wear and highly effective at providing protection to the mouth and teeth. Orthodontic mouthguards: An orthodontic mouthguard is designed to fit snugly over braces-covered teeth. You can easily find a wide selection of mouthguards for braces online and they come in many sizes, styles, and colors. Orthodontic mouthguards are comfortable to wear and effective at protecting your mouth, teeth, and braces from harm. Some top brands to watch for include Shock Doctor and Under Armour. The friendly team at Choonara Orthodontics is always happy to speak with you! If you have any questions about mouthguards or need some help picking one out, just contact us and we’ll do our best to help. We’re proud to serve patients in Johannesburg, Randburg, Sandton, and Midrand. Remember that your smile is something you should always protect, whether you’re wearing braces or not, so don’t forget to wear a mouthguard when playing sports!